Yesterday, voters in New Jersey and Virginia cast votes in closely-watched gubernatorial races. However, this year’s election also featured numerous tax policy measures of interest. Perhaps the most significant of these came in Colorado, in the form of the now-defeated Amendment 66, a proposal to raise almost $1 billion in new income taxes to increase education spending. 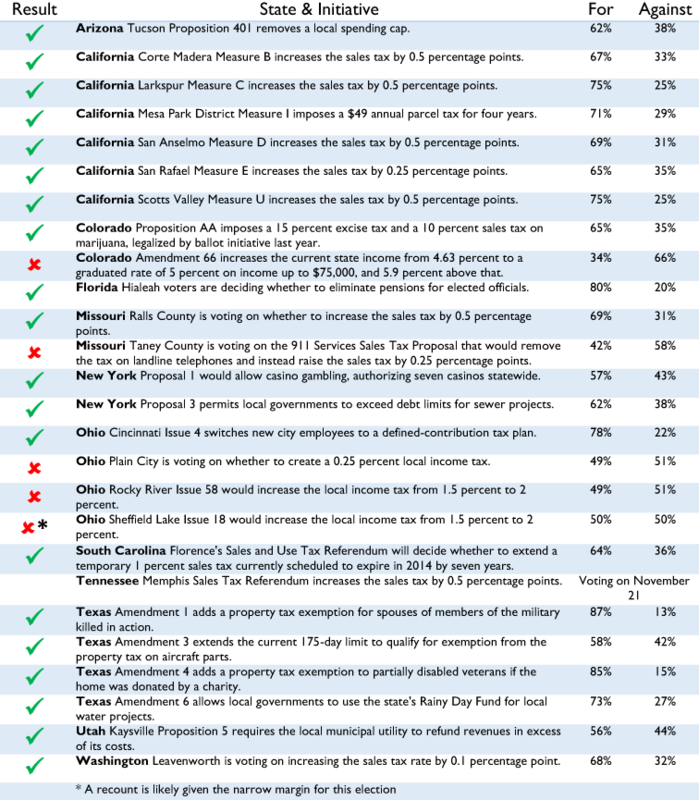 The table below lists each major ballot initiative and the results.